Three happy kids on the fishing shack. 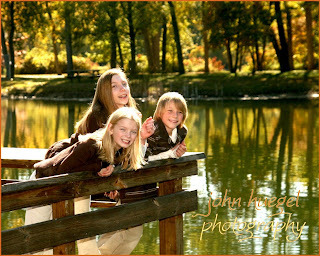 Nice fall colors and trees in the background. Thanks for supporting the Family Portrait Marathon!